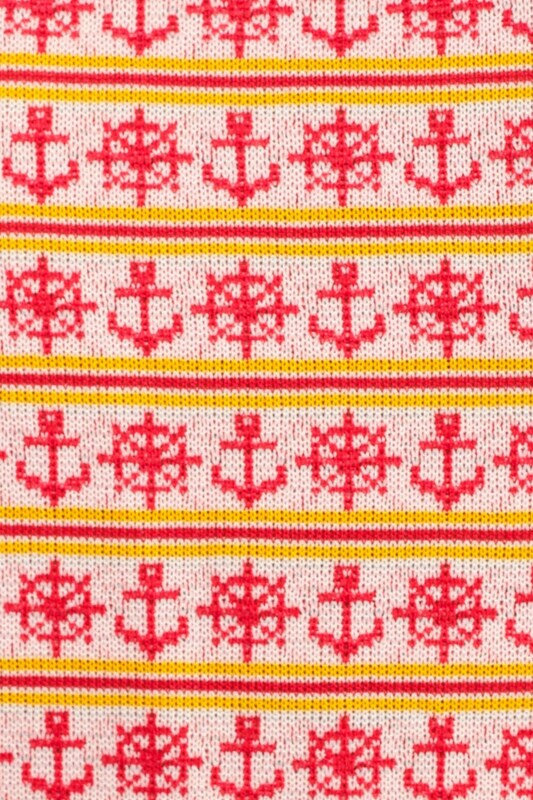 Vintage 70s shirt in red and yellow with an anchor print and a racerback. Sleeveless. Condition: Very good vintage. Print on the front is slightly angled.